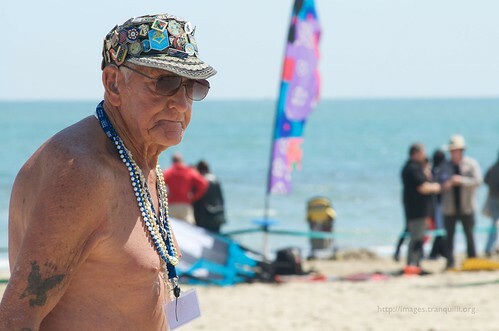 Cervia (RA), Italy – 29th International Kite Festival: multiple Kite World Champion Ray Bethell, 81 years old, endlessly flew one kite from each hand plus the other one from his waist. You can learn more about Ray on his website. Hopefully I will post more shots of the kite festival in the next days, once I finish PP.